After months of late nights, long study sessions, and wondering if I would ever find the end of my latest continuing education course… I finally wrapped my newest certification. I’ve taken a LOT of continuing ed courses, either online courses, webinars, or hands-on, but this one is the one that I am most proud of. Because I’m still riding high on wrapping that latest coaching course, I wanna give things away. Since I love Momentum Jewelry and giving their jewelry away, I’m celebrating my certification by giving away presents! 👉 Winner will get ONE Wish Wrap (size, color, saying winner’s choice). These beauties are not only stylish motivation to wear at your wrist, but I think they’re a pretty great addition to the holiday sparkle. 👉Runner-up will get ONE “be BRAVE” Motivate Wrap in teal. How do you enter to win one of these great prizes? Click this photo below and follow the steps in the photo caption. Giveaway ends Tuesday, November 28 at 9 p.m. Easter Standard Time. Winner, and runner- up will be announced Wednesday, November 29 via Instagram. 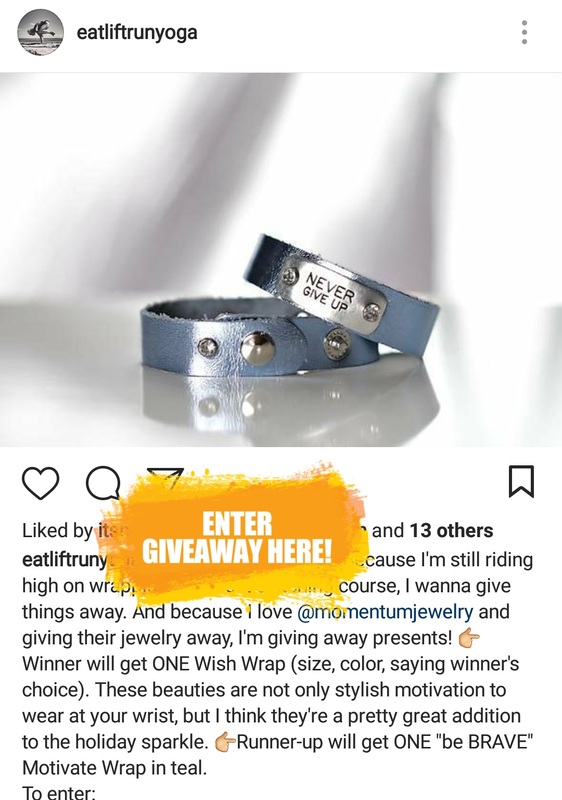 Giveaway is not sponsored by Momentum Jewelry, and Instagram has no involvement. It’s just me, super excited I “did a thing,” and wanting to give away goodies!